Two orcas leaping into the night at one of SeaWorld’s nighttime killer whale shows. Picture by Snails2Whales. Do Sea World’s Orcas Have The Same Lifespan As Those In The Wild? Some people claim that the orcas at Sea World do not live near as long at Sea World as they would in the wild. Is this true? Actually, no one knows. Comparing the life spans of wild orcas and Sea World’s orcas can easily give misleading or false information. Female orcas in the wild normally live about 30 years and males live about 19 years in the Pacific Northwest. In Southeastern Alaska females live into their fifties and males to their late thirties. So, in those two parts of the world male orcas live 19-30 years and females live 30-50 years. Sea World has several orcas in their thirties along with another that is close to fifty. Of course, in the wild, orcas live with the dangers of starvation, underground whaling, disease, injuries, and pollution. At Sea World, orcas don’t have to worry about starving, whaling or being polluted, and if they get sick or injured they receive expert care from vets. So we can’t really know if Sea World’s orcas have the same life span as those in the wild. Some whales at Sea World have died at young ages, but that appears to be normal in the wild. In many parts of the world wild orca calves suddenly die at a few months old. This has also happened at Sea World, but for the most part Sea World’s orcas are living as long as wild ones. Sea World does not capture killer whales from the ocean and hasn’t for over 35 years. Research shows that Sea World’s killer whales live as long as wild ones. The next time someone tries to convince you that Sea World is cruel to its killer whales, be sure to tell him/her some of these facts. 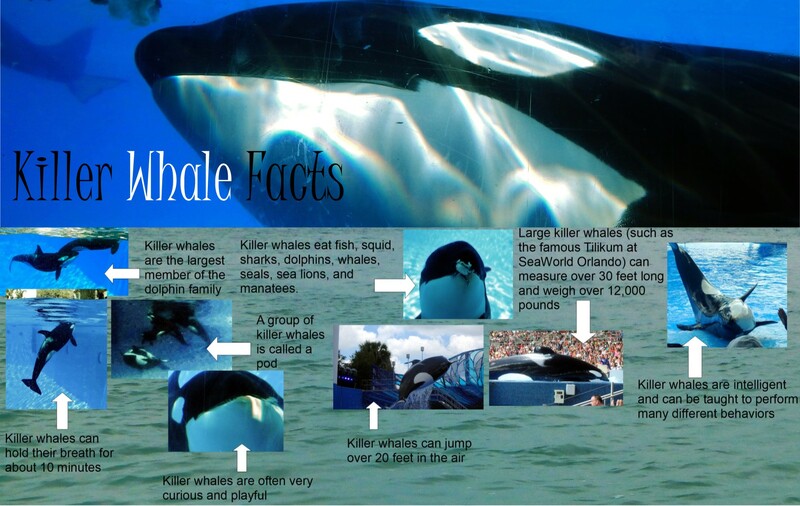 Picture of the Week – Help SeaWorld Defeat Proposed Orca Ban! Now that’s what I call a killer whale sized hug! Help Support Sea World’s Blue World Project! Sea World is now celebrating its Sea World Christmas Celebration. This is a photo from a night time orca show called Shamu’s Christmas Miracles. It’s a really great show that you should see if you’re planning a trip! Enter your email address to follow Snails2Whales and receive notifications of new posts by email.